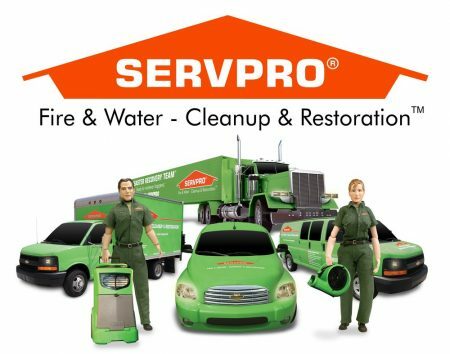 What Can SERVPRO of Patchogue Do for You? Fire, Smoke and Soot Cleanup and Restoration: Pretesting helps SERVPRO of Patchogue determine what type of fire has taken place. Knowing the types of smoke and their behavior patterns are vital to proper restoration. Water Removal and Dehumidification: SERVPRO of Patchogue will identify the source and type of water, which determines the proper course of action. Drying equipment controls temperature and humidity, minimizing secondary damage. Crime Scene, Biohazard and Vandalism Cleanup: SERVPRO of Patchogue technicians are trained to safely and effectively clean biohazardous substances and prepare waste for proper disposal according to OSHA, EPA and state and local health regulations. Mold Mitigation and Remediation: SERVPRO of Patchogue will work to control and remediate mold contaminates while protecting your health and safety. Contents Claim Inventory Service: Accurate inventory helps keep costs low and reduce job completion time. SERVPRO of Patchogue can provide an itemized, area-by-area loss inventory. Air Duct and HVAC Cleaning: SERVPRO of Patchogue can inspect your HVAC system and ductwork. Cleaning services can be provided to help restore peak energy efficiency, eliminate offensive odors and improve indoor air quality. Carpet and Hard Floor Cleaning and Care: SERVPRO of Patchogue uses the latest IICRC training as well as state-of-the-art equipment to remove entrapped soils from deep within your carpet’s pile and backing. Stain Removal, Stain Resistance Applications: Using IICRC standards for carpet as a guide, SERVPRO of Patchogue will show you what cleaning option would be best for your carpet’s level of soiling and explain the benefits of soil protection. Odor Identification and Deodorization: SERVPRO of Patchogue will find the source of the odor and determine the best method to neutralize and eliminate it. Upholstery and Drapes, Wet or Dry Cleaning Methods: Fabrics are inspected and tested to determine the safest and most effective cleaning method.